Opening with one of the most famous lines in Japanese literature — “Emerging from the long border tunnel, they entered snow country,” shifting us at speed from the darkness of the tunnel into the bright light of the snow — Yasunari Kawabata’s novel “Snow Country” tells of a city-dwelling, worldly aesthete Shimamura who travels to an onsen (hot springs) retreat in winter and resumes his casual affair with Komako, a beautiful young “mountain geisha,” a rustic panderer to male desire. What most people assume the novel to be about is the evocation of a quintessentially Japanese world, cut off by that long tunnel from the rapidly modernizing and Westernized world of the cities, a throwback to older, slower times and distinctively Japanese sensibilities. 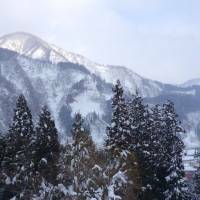 What they perhaps do not realize about “Snow Country” — and what is key to appreciating the novel — is that it was in fact Kawabata’s radical attempt to apply the techniques of modernist, post-cubist Western painting to a Japanese literary canvas. It is easy to forget that Kawabata had, as a child, aspired to be a painter and had been in his youth a radical figure — he was profoundly affected by the waves of cubist, surrealist, futurist, expressionist and dada art that rolled into Japan from the West in the 1910s and ’20s. And he tried to reflect those new ways of seeing the world in his own avant-garde and experimental literature, forming, along with author Riichi Yokomitsu and others, the magazine Bungei Jidai (The Artistic Age) in 1924 to promote his resolutely modernist New Sensation School (Shinkankakuha). 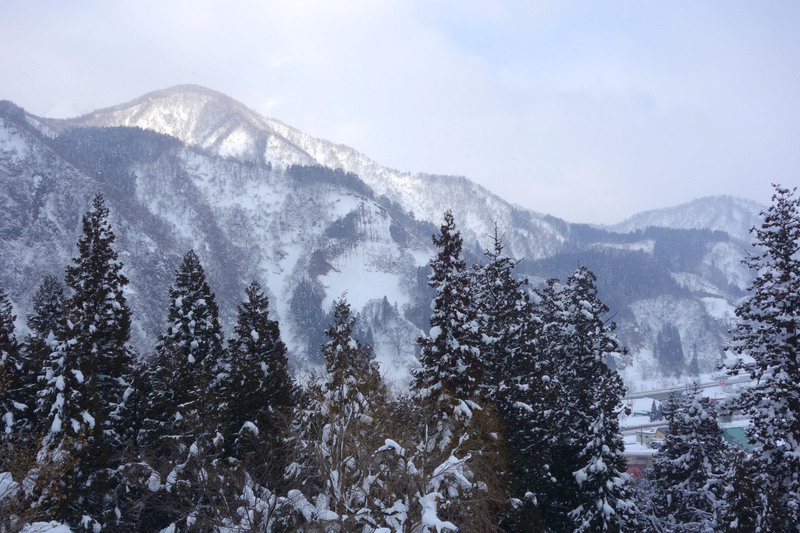 The opening chapter of “Snow Country” is Kawabata’s tour de force. In the train compartment on a dark evening, Shimamura is observing out of the corner of his eye a young woman and the man she is nursing, who are seated diagonally opposite, but he refrains from looking at them directly. He runs his finger across the misted window and is shocked when a disembodied eye appears in the glass — the partial reflection of the girl opposite. He wipes away more condensation and more body parts appear — the ear and back of the head of the man. Then when there are lights outside, the glass becomes half reflective and half translucent, and the girl’s face is suddenly transposed onto the glass against the scenery. The train window is transformed into a “mirror of art” and refracts the world through an artistic prism presenting it in unexpected new ways. In the previous generation — as explained in the previous part of this series — Natsume Soseki had planted at the center of his novels “mirrors of art” (often in the form of ponds magically reflecting the world). By means of these “mirrors” he imported into his novels the themes and motifs of Pre-Raphaelite paintings. But what Kawabata’s protagonist sees in his “mirror” is a profoundly cubist and surrealist vision — a disturbing eye, a strange ear, a face transposed against an unexpected background. 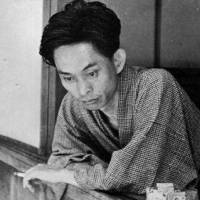 Kawabata was aiming in his technique not for rich augmenters of narrative like Soseki, but rather for a sense of alienation and a connection to primeval dreams and fears. The first chapter shows us that the train window is not a device to observe “snow country,” but rather a mirror able to transform the world itself into something new, illogical and fragmented but offering access to a deeper existential reality. This exposition on modernist ways of seeing becomes the template for how the rest of the novel, which strives not to paint a full naturalistic canvas, but provide only partial glimpses, intercut across time, of a greater whole in a manner that was free and open-ended. One of the key problems Soseki had wrestled with — invoking Gotthold Ephraim Lessing’s famous 1767 essay “Laocoon” — was that while literature depicts a continuum of time, painting in contrast captures but a single moment. Yet in the 30 years since Soseki wrote works such as “Kusamakura” (“Pillow of Grass”) in 1906, a revolutionary new art form had emerged: cinema, which was capable of representing both literary plots and a continuum of visual images inspired by paintings. 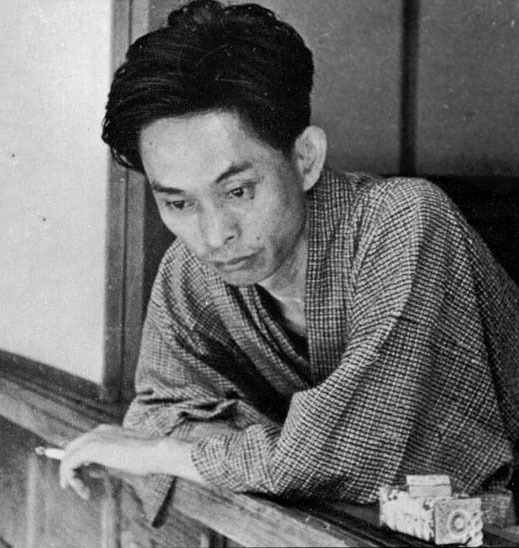 Kawabata, along with many other famous authors of the age such as Junichiro Tanizaki and Edogawa Ranpo, was fascinated by the new possibilities of cinema and attempted to reproduce its effects in his literature. It is not by accident that the climactic final scene of “Snow Country” occurs at a warehouse transformed into a cinema. Kawabata published “Snow Country” as seven short pieces in numerous magazines between 1935 and 1937, but returned to it during the 1940s when he added other pieces, then pulled all the fragmentary installments together, created a cubist whole and published a final version in 1948. Writers like Futabatei Shimei, Masaoka Shiki, Soseki and Kawabata had wrestled with the intellectual concepts of visual art — yet what no writer had done so far was engage with it in a way that was personal, intensely emotional and visceral. It would take — as I will explain in this space next month — an extraordinary talent, a protege of Kawabata in fact, to dare to see in paintings a medium with which to delve into his own intensely repressed desires and to place himself at the center of such a visual fantasy. This is part three of a four-part series titled “How the Visual Arts Have Shaped Japan’s Literature.” The final part will appear on Jan. 7.